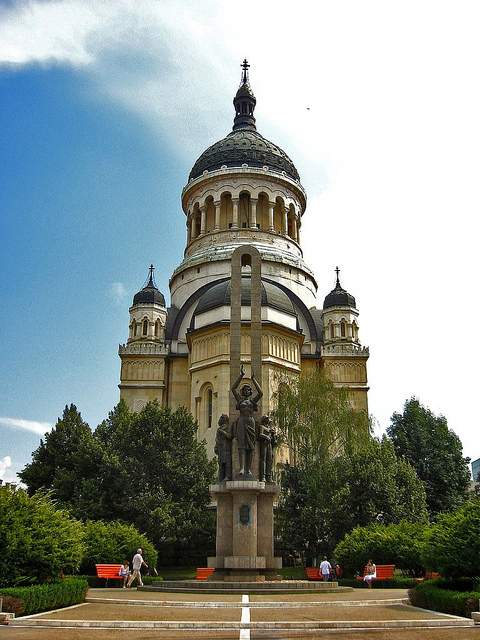 If the city of Cluj-Napoca is considered the cultural heart of Transylvania, the Metropolitan Cathedral rising proudly in its center is deemed to be a genuine Sion of Romania. This impressive place of worship, that currently serves as the central church of the Archbishop of Vad, Feleac and Cluj, who also serves as Metropolitan Bishop of Cluj, Maramureș and Sălaj Counties, has come into being due to the relentless efforts of religious authorities and civil engineers, who dedicated over 10 years to building it. Its construction began in 1920 and was completed officially in 1930, but it was only in 1933 that the cathedral was consecrated and dedicated to the Dormition of the Mother of God. White and pure, the Metropolitan Cathedral is a symbol of unwavering faith continued from one millennia into the next. The metropolitan cathedral is a museum of both art and history. Its collection of religious art, founded in 1938 and reorganized in 1975, is composed mainly of painted icons dating from the XVII to the XIX century and various cult objects. The collection of historical items includes documents regarding the history of the diocese, wood and glass icons, manuscripts, clothing, and goblets, among others. 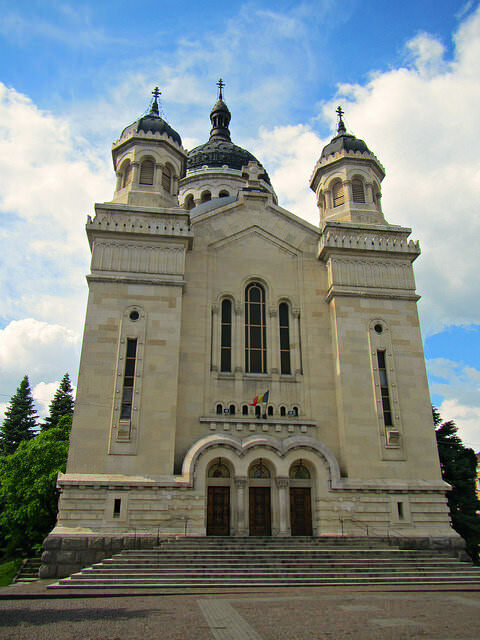 The cathedral is the result of the concerted efforts of an impressive team of grand masters and specialists: the architects George Cristinel and Constantin Pomponiu designed it, architect Dorel Cordoș supervised the stonework, and the young artists Călin Daian and Matei Câmpan authored the 86 manually drawn and modeled elements of each of the four domes. This massive and spacious cathedral is indeed an architectural wonder, built in the style defined during the reign of Constantin Brâncoveanu in Wallachia, with definite Byzantine influences. It has very deep nave apses, lateral balconies supported by columns, and a choir balcony. The design of the dome was inspired by the famous Hagia Sophia of Istanbul. It's worth noting that some of the works involved in erecting the cathedral were highly specialized tasks, which couldn’t have been completed without a significant amount of skill and artistry. The results are more than visible today, though, in the outstanding beauty of the four smaller domes surrounding the central dome, the 18 exquisitely sculpted columns of the main dome, the fine cameos carved in stone, or the stone arches of the lateral facades. Another remarkable feature of this cathedral is its set of four bells, brought from Hungary, the largest of which weighs almost 2 tons and serves as the thunderous voice of the church, calling to the faithful from all corners of the city and beyond. Inside, the church was painted, initially, by Art Academy professors Anastasie Demian and Catul Bogdan, who dedicated half a decade to this endeavor, working between 1928 and 1933. However, in the context of complex restoration works, the cathedral was repainted in 1999 in Byzantine style, using the famous Murano glass tiles. The painting is a work in progress, however some remarkable works of art have been completed, such as the dome of the nave, the dome of the altar, the altar screen, the crosses and the decorations of the domes. The wall near the front door is painted with an image of the Mother of God, Jesus Christ and Saint John the Baptist.